Elizabeth Estrada was admitted to the Florida bar in 2014 and as an Associate at Friedman, Rodman, & Frank, P.A. she represents clients in the areas of Personal Injury, Medical Malpractice claims, Workers’ Compensation claims and Longshore and Harbor Act based claims. 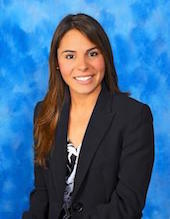 Ms. Estrada received a Bachelor of Arts from The University of Miami in 2010. She received her Juris Doctor degree from Nova Southeastern University, Shepard Broad Law Center in 2014. Ms. Estrada is a Miami native and is fluent in English and Spanish and also been admitted to practice at the U.S. District Court Southern District of Florida.